Round & About is an interactive discipleship resource to help children, adults and families to find ways that help them to live out their faith in following Jesus. Round & About encourages you to chat and pray together as a family, or as a group of children with a leader. It can also be used by those of all ages living under the same roof. Living, Loving and Serving are all part of the Rule of Life here in Winchester Diocese and Round & About complements this in helping us as disciples of Jesus. Round & About can be part of a mid-week or Sunday children’s group too. We hope you will find it a really flexible and useful resource. If you are using Round & About without parents/ guardians present, please make sure they are aware of this and you have their written permission. So, whatever ages the group is made up of Round & About will encourage everyone (hopefully over food!) to pray & chat together and to see God at work. 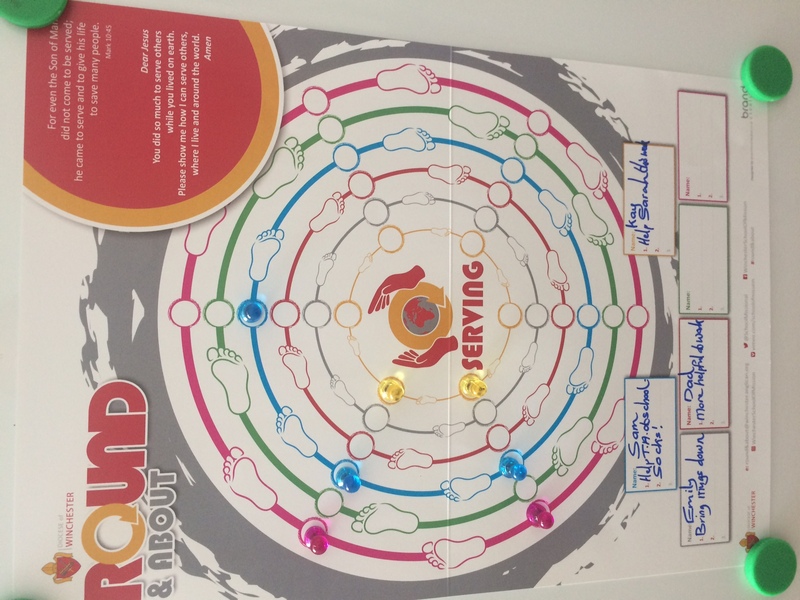 Round & About flyer - An A5 double-sided lealet that explains what Round & About is all about.